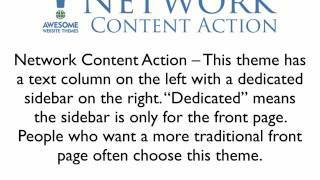 Remember that Network Content Impact needs the Thesis Framework to function. It may be purchased from DIY Themes. A Thesis client license is included in all of our installations.